The tax attorneys and other tax professionals in our tax law group represent Michigan businesses and individuals regarding issues raised by the tax authorities and provide proactive tax planning to minimize the tax burden. Since federal and state tax issues affect every individual and nearly every business transaction, our tax law team works with all of the service teams at Rhoades McKee including Real Estate, Business, Estate Planning and Divorce and Family Law. Our tax law team includes business attorneys who are also Certified Public Accountants, a former IRS tax attorney, and a specialized tax paralegal, who is also a former IRS agent. Together, we help individuals and businesses resolve audit issues and tax assessments raised by Tax Examination Divisions, represent clients involved in criminal investigations and charges, obtain technical advice and rulings, and appeal or litigate determinations arising from the Examination or Collection Divisions regarding personal, business or property tax matters. Our tax services also include strategic tax planning, obtaining tax-exempt status, and creating efficient structures to minimize risk and liability. The attorneys on our team collaborate to provide a comprehensive and efficient delivery model to understand every aspect of the tax matter and minimize tax liability. In 2017, our tax and appellate law teams jointly worked to secure a tax-exempt status for non-profit properties. 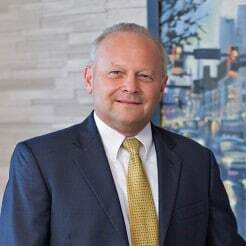 To learn more about our tax services or speak with an attorney, connect with us below or call Terry at 616.233.5173.